Nor-Shipping 2017 has confirmed that Rear Admiral Paul Thomas of the U.S. Coast Guard (USCG) is the latest high profile speaker to be signed for the leading maritime event week. The move comes at a time when USCG is making waves throughout shipping, after agreeing the biggest ever newbuild order in its history. Nor-Shipping, taking place across a series of venues in Oslo and Lillestrøm from May 30 to June 2, 2017, has already gathered a diverse range of contributors from both within the industry and without. Names include Thomas Wilhelmsen, CEO Wilh. Globally renowned green energy champion Peggy Liu has been announced as the latest speaker for Nor-Shipping 2017. Liu, the Chairperson of Joint US-CHINA Collaboration on Clean Energy (JUCCCE), is set to join a growing list of key shipping figures at the leading global maritime event week. Together they will deliver fresh perspectives on the challenges, opportunities and future evolution of the industry worldwide. Liu is a well-known figure throughout the business, political and media landscapes. At a presentation this morning at the United Nations in New York, Remi Eriksen, CEO, DNV GL led a presentation on “The Future of Spaceship Earth,” a global forecast on the outlook for the world to 2050. The skinny: The world needs to move further, faster on multiple fronts to ensure the sustainable future of the planet. Calling for “extraordinary action” to achieve the 17 Sustainable Development Goals (SDG’s) as presented in 2015, Remi Eriksen, CEO, DNV GL introduced “The Future of Spaceship Earth,” a global forecast on the outlook for the world to 2050, at the UN in New York this morning. 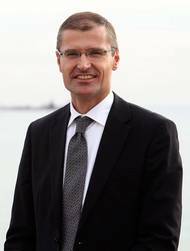 DNV GL has appointed Ditlev Engel as the new CEO of its Energy business area. Starting April 4, Engel will succeed acting CEO Elisabeth Harstad and report to the Group President & CEO Remi Eriksen. Engel will join DNV GL as CEO of the group’s Energy business area, which provides testing, certification and technical advisory services to the energy value chain including renewables, power grids, storage as well as energy use. 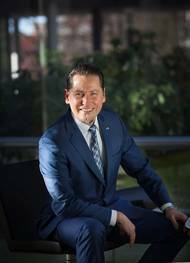 He will be based at the DNV GL - Energy headquarters in Arnhem, The Netherlands and be a member of the Executive Committee for the DNV GL Group. 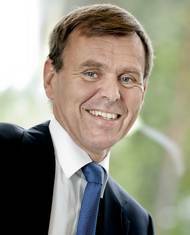 DNV GL Group has appointed Tor Svensen as Group Executive Vice President. Knut Ørbeck-Nilssen will succeed Tor Svensen as Chief Executive Officer of its Maritime business area. Both will report to the incoming Group President & CEO Remi Eriksen, starting August 1, 2015. 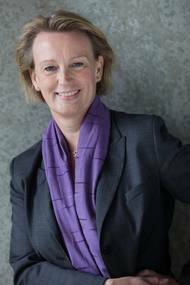 Ørbeck-Nilssen has served as COO and Senior Vice President of DNV GL’s Maritime business area since 2013. He will now take on the new role as CEO and continue to operate out of the maritime headquarter in Hamburg, Germany. 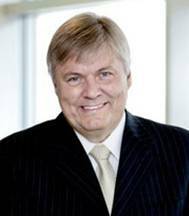 Tor E. Svensen has been the CEO and President of DNV GL - Maritime since 2003. 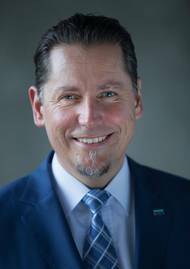 Remi Eriksen has been appointed as the DNV GL Group’s new president and CEO, succeeding Henrik O. Madsen, who will retire August 1. The DNV GL board of directors began an executive search and selection process in October 2014 to find and appoint Madsen’s successor due to his planned retirement after more than 30 years of service with DNV GL, the last nine years of which was spent as group president and CEO. DNV GL said candidates from many countries, both inside and outside of the organization, and both men and women, were considered. Norway’s Prime Minister Erna Solberg visited DNV GL Høvik yesterday, September 16. Group President & CEO Henrik Madsen was host. “The Prime Minister was both enthusiastic and interested in DNV GL’s views on climate-friendly technologies in the industries we serve. We hope that our input on technological opportunities will be useful in the Norwegian government's work aimed at promoting a greener economy,” said Henrik Madsen when the hour long visit was over. As well as the Prime Minister herself, Norway’s Minister of Climate and Environment, Tine Sundoft, participated in the meeting. DNV GL is now running a pilot project that prepares the ground for the establishment of a Marine Battery Forum, which shall work to ensure that Norway is a world leader in maritime battery-based value creation. The forum shall be a tool for effective realization of the government's ambition of green growth within the maritime sector and a vision that Norway will be a world leading maritime nation and an attractive maritime host country. The industry shall deliver the most environmentally friendly, innovative and competitive solutions for the future. In the report entitled Enhancing offshore safety and environmental performance, DNV suggests critical levers to provide a more holistic safety framework across the oil and gas industry. CEO Remi Eriksen, DNV Maritime and Oil & Gas, said new regulations, such as the EU directive, mirror society’s zero tolerance for offshore accidents. “The offshore industry has achieved an outstanding improvement in occupational safety over the past three decades. Although it has learned much from major accidents in the past, such accidents are still occurring. Building on the success of its first offshore conference in 2011, Nor-Shipping will again host Agenda Offshore on June 5, signifying the importance of the maritime industry as it increasingly moves offshore to service the oil and gas industry. Speakers Helge Lund, CEO of Statoil, and Andy Brown, the Upstream International Director of Royal Dutch Shell plc, will share their insights as major oil and gas companies that are dependent on the maritime supplier industry for their cutting-edge technology and sophisticated equipment and vessels. OSLO: Following the transfer of the majority shareholding in KEMA, DNV is now establishing a group structure to manage the strong industry positions it now holds. By merging some of its activities with KEMA, DNV is committed to driving the global transition toward a safe, reliable and clean energy future. As of 1 March, DNV’s operations will be carried out through three separate companies: DNV Maritime and Oil & Gas, DNV KEMA Energy & Sustainability and DNV Business Assurance. Each company in the DNV Group will have a dedicated leadership team. CEO Henrik O. The new generation of 10,000 TEU container vessels contracted in China by Seaspan represents major improvements in energy efficiency, cargo capacity, operational efficiency and emission reductions. The new features have been developed in a collaboration between Seaspan, the Yangzijiang Shipbuilding Group, MARIC and DNV. The order for seven 10,000 TEU container vessels plus 18 options which was signed in Shanghai on June 8, 2011 is the biggest ever container contract entered into in China. The vessels will be built to DNV class. The improvements due to new design features are substantial.